Prime Minister Justin Trudeau’s government will roll out a multi-year plan in the federal budget to give all Canadians access to high-speed internet by 2030, CBC News has learned. 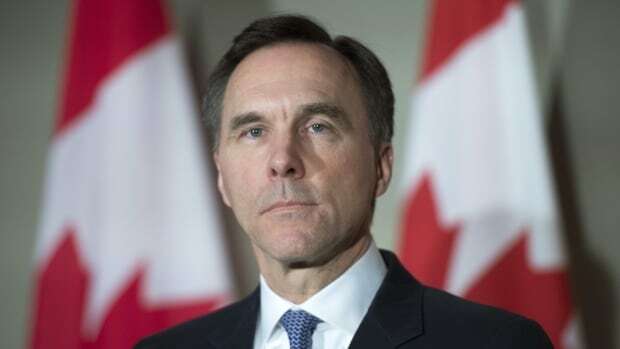 Finance Minister Bill Morneau will outline the specifics in the budget on Tuesday. But a government source said the plan will be paid for with new federal spending and will also rely on the private sector. A second government source told CBC News the broadband investments will focus on narrowing a growing urban-rural divide. The goal is to help people who don’t live in major cities participate in the modern economy and worry less about having to leave home to find work. The broadband plan will be a key component of a budget that will also focus on adult skills training, pharmacare, seniors and new measures to make home ownership more affordable for first-time buyers. The second source said there would be targeted measures in the budget to make home-buying more affordable, with a specific focus on millenials. This has consistently been identified as a top issue for that generation of Canadians who are in their 20s and 30s. The budget will also include a suite of measures to help promote lifelong learning and adult training. Last week, CBC news reported that the federal government will establish personalized accounts to help Canadians pay for retraining and skills. Morneau strongly hinted last week that this budget will also include measures to help people take time off while they retrain. The sources said that the government will beat its projected deficit of $18.1-billion for this fiscal year. Economic growth has been flat in recent quarters, but the job market remains strong and there’s been a windfall in higher than expected personal income tax revenues. The budget will be a hard pivot back to the Liberal government’s middle-class mantra. In last fall’s economic update, the government spent billions to help corporate Canada compete with the deregulation and tax cutting agenda of U.S. President Donald Trump. It also comes as the Liberal government faces harsh criticism for efforts to help Quebec-based corporate-giant SNC Lavalin avoid criminal prosecution for bribery and fraud charges related to past business dealings in Libya. Conservative finance critic Pierre Poilievre said he expects to see a budget that sprays money in all directions in the hopes of drowning out the SNC-Lavalin scandal and regaining the Liberals’ polling advantage. The Liberals have taken a hit in the polls since the Globe and Mail first published allegations of political interference by the Prime Minister’s Office in the SNC-Lavalin affair on Feb. 7. Senior ministers Jody Wilson-Raybould and Jane Philpott have both resigned from cabinet, and Trudeau’s former principal secretary Gerry Butts has also quit. NDP Leader Jagmeet Singh said the budget presents a “last opportunity” before the election for the Liberals to prioritize the needs of average Canadians instead of the wealthy. In a letter he sent to Trudeau and Morneau this week, Singh said too many Canadians are struggling to pay their bills and find affordable child care and housing. Watch: How will the federal budget affect spotlight on SNC-Lavalin probe? “The wealthy and the powerful have so successfully lobbied your government in the last three years, that the gap between Canada’s wealthiest and the rest of Canadians is growing,” he wrote. The NDP said the Liberal spending priorities should be universal pharmacare, Indigenous communities, affordable housing, environmental projects and tackling tax havens.